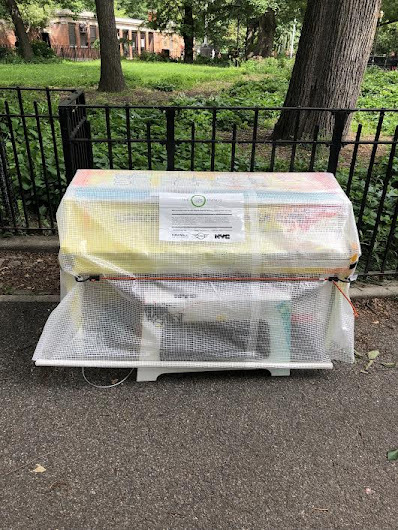 Starting today, the NYC-based nonprofit Sing For Hope will once again place 50 colorfully decorated pianos in parks and other locations around the five boroughs through June 24. The program is now in its seventh year. Lady JDay, who was born in Paris, created the piano (pictured above) that will be in Tompkins Square Park for the next few weeks. For Lady JDay, commitment is both a necessity and a way of working. 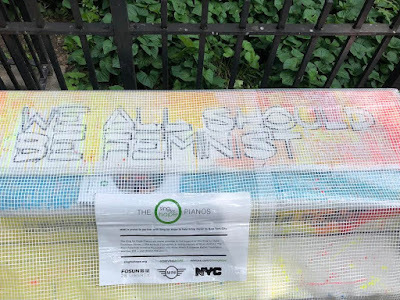 This can be seen in her paintings where women's rights are advocated. Whether these women are strong or the victims of violence and oppression, Lady JDay stands up for them. Portraying women is for her an approach and a governing principle. Lady Jday is a committed artist who contributes through her painting and performances in Street Art to the recognition of women and their multiple talents. Her colorful and lively work, with expressive features, testifies to her ability to feel and relay their emotions. Lady Jday is in line with the Guerilla Girls, which promotes the place of women and people of color in the arts, and she's inspired by artists of Street Art and its encounters and travels. 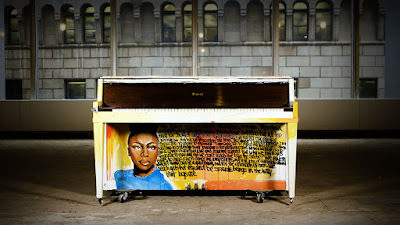 This piano is a tribute to Nigerian writer Chimamanda Adichie. 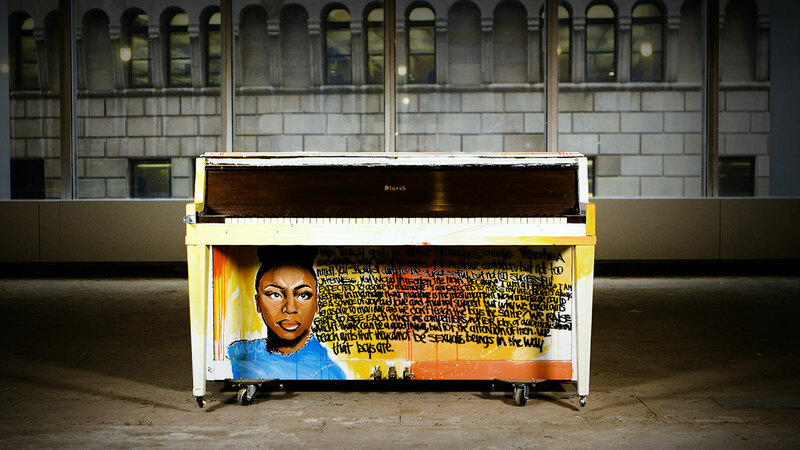 After June 25, Sing for Hope will donate the pianos to NYC public schools. For more information, visit the Sing For Hope website here. Is this really appropriate? 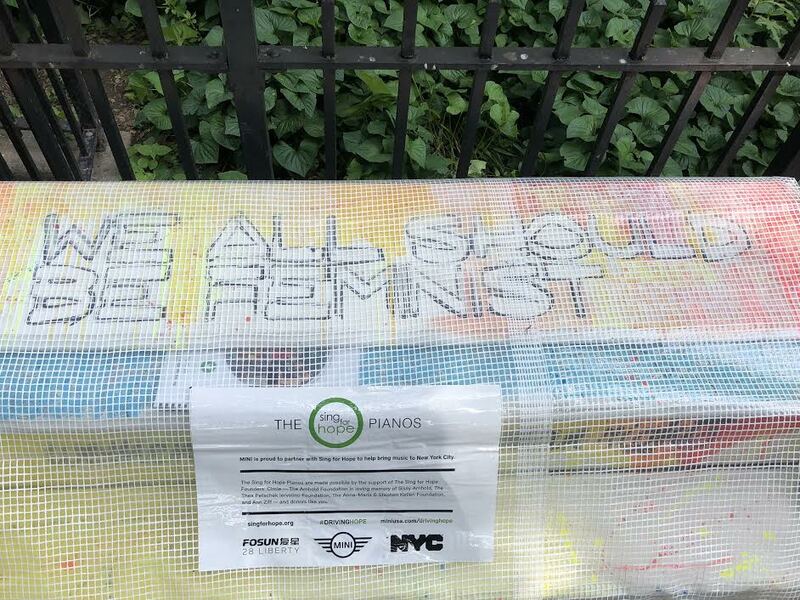 Can't we just have the pianos without some professional identity politics "message"
How about singing for music? Music is a cause. It is dying!